i. 150 W. 2nd St. – Edward Gillson Granary; burnt brick c. 1875. 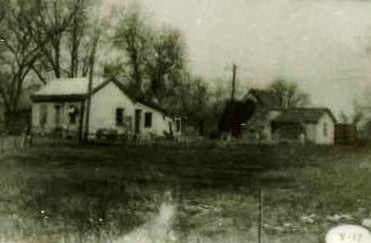 The Gillson adobe house and rear burnt brick granary were covered with cement; they appeared like this for more than 50 years; the photo has a black smudge on the granary; photo Ogden City Call Survey 1986. The Gillson granary; photo 1998. In 2000 the process of removing the cement began revealing burnt bricks and a rock foundation on the granary; photo 2000. A porch was built on the front of the granary, and the extension received a door, window and porch roof; photo 2006. The granary is located 100 feet north of the Gillson adobe house and was built about ten years after the adobe house in circa 1875. This is a two level, burnt brick structure. Burnt bricks were sun dried and then fired but were not as hard as the bricks of the 1890s; the bricks were probably made at the Gates Adobe-Brick Mill. The three- foot rock foundation was built to prevent rain from splashing on the bricks. Wheat and grains were stored in the dry upper level, and the lower level had a dirt floor and served as a root cellar. There was once a brick house to the east of the granary which was demolished in about 1960. The builder of the granary appears to be Edward Gillson. For history of Edward Gillson and his family see c. 150 W. 2nd rear, William and Edward Gillson House. The granary was large enough to be used as a small house over the years. It was not uncommon for families to temporarily live in granaries while saving money or building another house. Members of the Bertinoti/ Genta family owned this property for over fifty years. 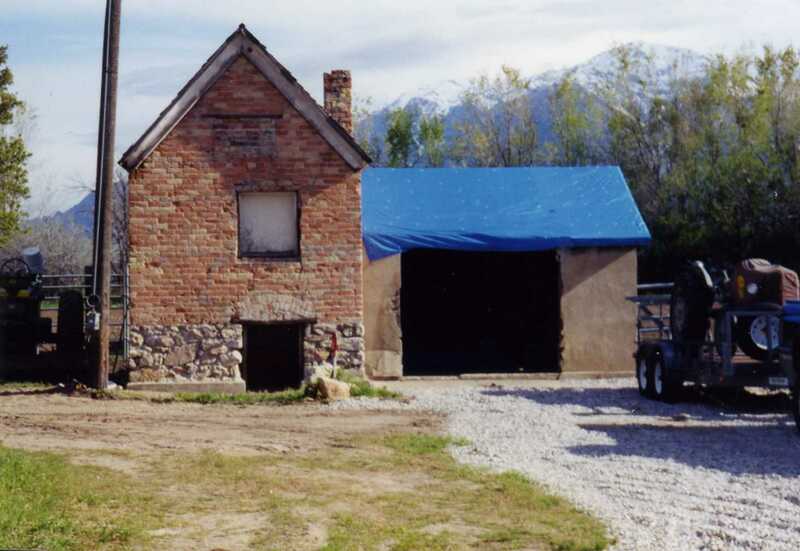 On site visit in May 2000 by Gordon Q. Jones, author Pioneer Forts in Ogden Utah, 1996, Sons of Utah Pioneers. 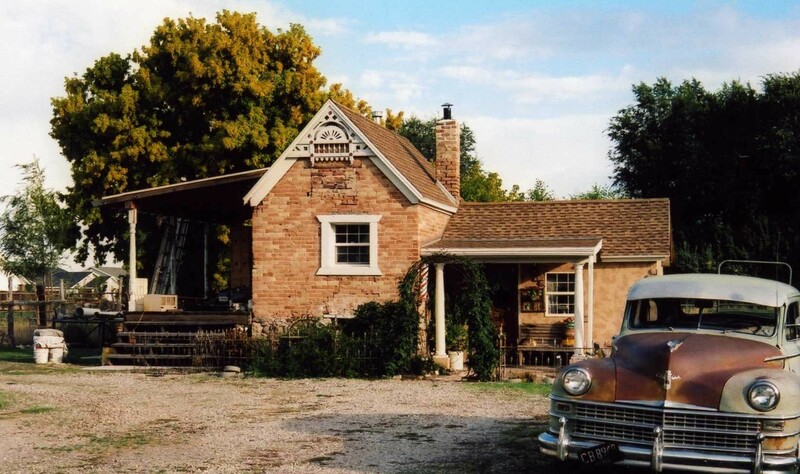 Memory of Flo Stacey, Ogden, Utah. Richard C. Roberts and Richard W. Sadler, A History of Weber County, 1997, Utah State Historical Society and Weber County Commission, p. 177. This entry was posted on April 22, 2010 at 10:35 pm	and is filed under h. 150 W. 2nd- granary.. You can follow any responses to this entry through the RSS 2.0 feed. You can leave a response, or trackback from your own site.